The Bermuda Pacers Track Club hosted their Easter Sprint Challenge at the National Sports Center. Legend Stevenson won the 9 & 10 Girls 100 Meter Dash representing D.N.A. clocking 16.42, Somerset Primary’s Jeada Grant was second in 16.56 and Northland Primary’s Day”Asha Dill finished third clocking 16.72. 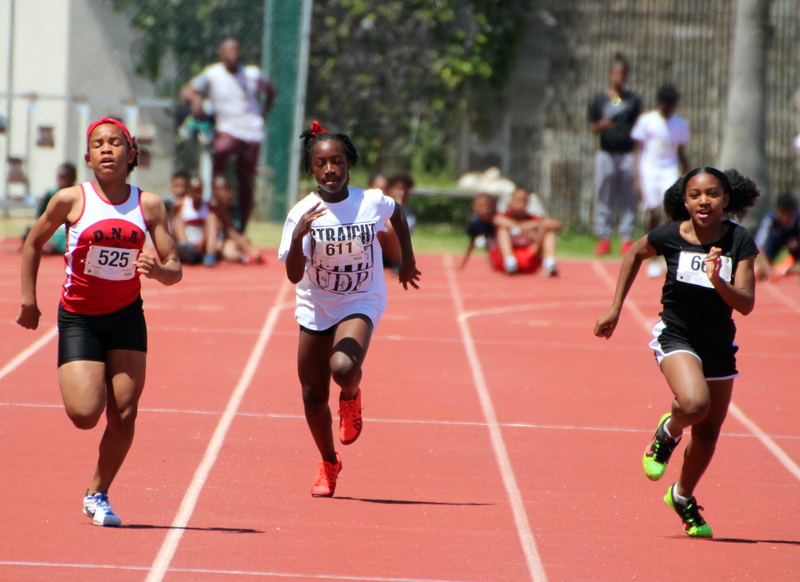 Ramiah Brangman ran to victory in the 11-12 Girls 100 Meter Dash clocking a time of 14.76 representing Sandy's Secondary Middle School, while Chiaje Rudo from Dellwood Middle School was second in 15.05 and Ny’asia White finished third clocking 15.18. The 11-12 Boys 100 Meter Dash was won by Bermuda Institute’s Denver Tucker who stopped the clock in a time of 13.55, while Isael Smith from Prospect Primary was second in 13.61 and Kameron McNiel from Saltus was third in a time of 14.27. Jeon Wolfe clocked a winning time of 16.15 during the 7-8 Boys 100 Meter Dash representing GS Running Club, while Jemoi Blackman representing Victor Scott Primary was second in 17.39 and Makao Butterfield was third in a time of 18.17.